Most of movies downloaded from iTunes include multilanguage subtitles and audio tracks. That will be perfect if you have Apple devices or can stand with playing them only with iTunes on Windows. But what if you want to play them with subtitles and all audio tracks kept on Android devices? There are many software that can remove DRM from iTunes videos on Windows while seldom of them can keep subtitles, let alone all multilanguage subtitles and audio tracks, when removing DRM from iTunes videos. 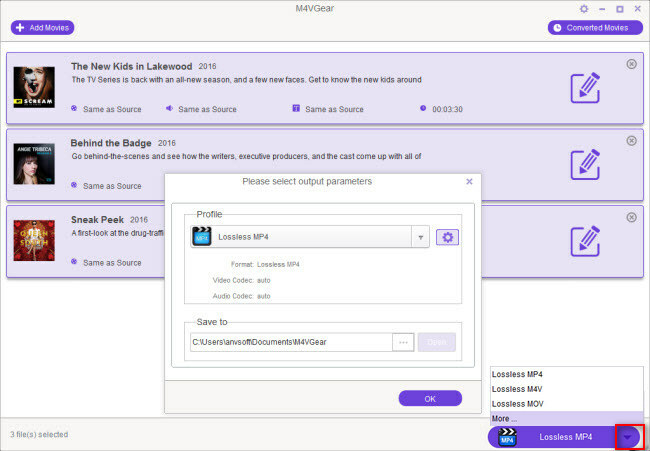 M4VGear DRM Media Converter for Windows, as the fastest DRM Removal software on Windows, has made it possible for Windows users to both strip DRM from iTunes movies and save all subtitles and audio tracks. 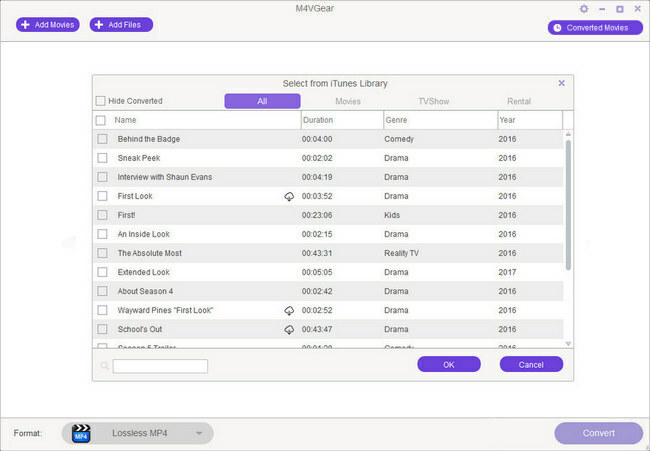 In this way, iTunes videos can be played on non-Apple devices with subtitles on screen and multilanguage subtitles and audio tracks to be chosen from. Launch the program and iTunes will be opened automatically. Then Click "Add" button on the upper left or "Add Movie" button in the middle of the interface to add movies with multilanguage subtitles and audio tracks from iTunes Library in the pop-up windows. Then click "OK" to apple. You can change the output format for each video file. But, when you set output format as "Lossless MP4", the iTunes videos can be converted at 20 faster speed with all audio tracks (including AC3 Dolby 5.1 surround) and all subtitles (including closed captioning (CC)). 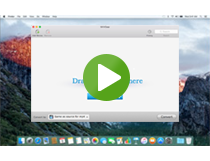 Click the "Lossless MP4" button on the bottom right to start removing DRM and convert iTunes videos to unprotected MP4 or other plain format. 1. Before converting, make sure your computer is well authorized with the same Apple ID that you used when downloading the iTunes movies. 2. Before the Status show converting progress, iTunes will be shown and hide itself in a flash, and please don't do anything with iTunes during converting, conversion may be failed by occurring an error. How to Watch Jurrasic World on TV? How to Enjoy iTunes Movies on Samsung Smart TV via Chromecast?